The most famous craft in the ancient Bukhara is the blacksmith's craft. Stories about the great artisans of that time can be found in the books of the 10th century, the great Uzbek scholar Abu Rayhan al-Biruni. For a long time, such craftsmen made various metal products that were highly valued by the merchants of the Great Silk Road: these were royal shining sabers, knives like sharp blades, various tools used in medicine and in tailoring. Today, masters from the ancient city of Bukhara show their guests true craftsmanship in the form of knives or sabers handmade. 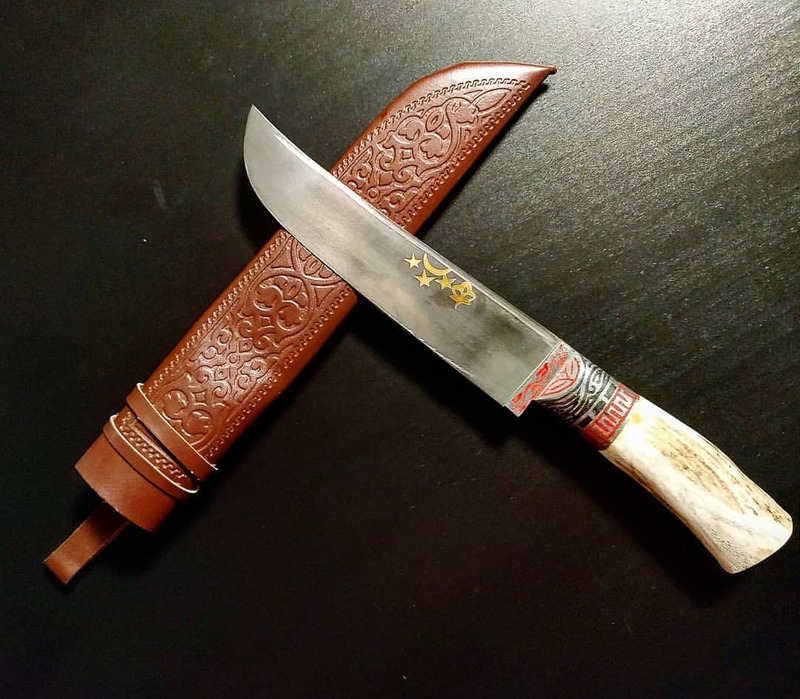 The traditional Uzbek knife, called Pichak, is customary to give in the East. 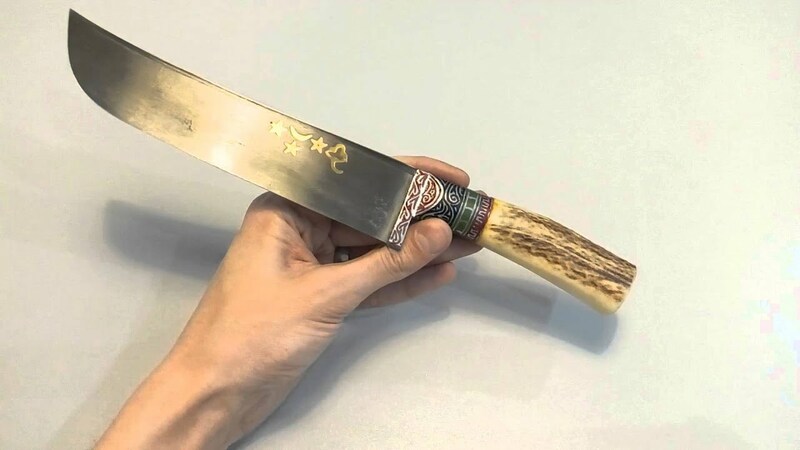 It is not only a wonderful gift for a man, but also an indispensable tool in the kitchen, especially if his handle and blade are decorated with engravings. These knives stand out among the rest. Each of them has a very distinctive look - a rather narrow handle and a disproportionately wide blade with a displaced center of gravity. 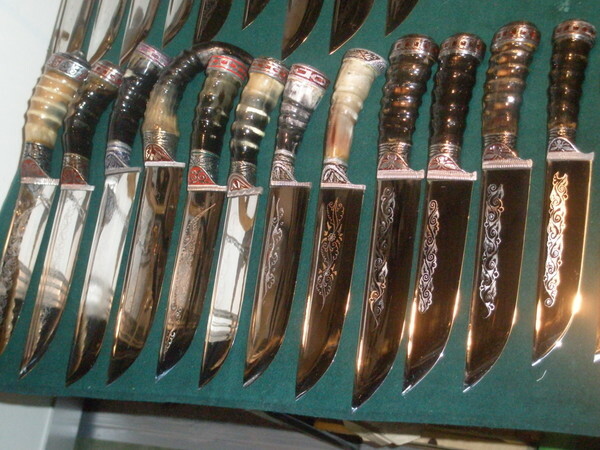 The secret of the skill of Uzbek oshpaz (cooks) lies precisely in the use of such knives. It is easier to hold a knife for such a handle and it is good to cut the vegetables and meat with a wide blade. In artisans is considered special chic to create amazing and unique handles. 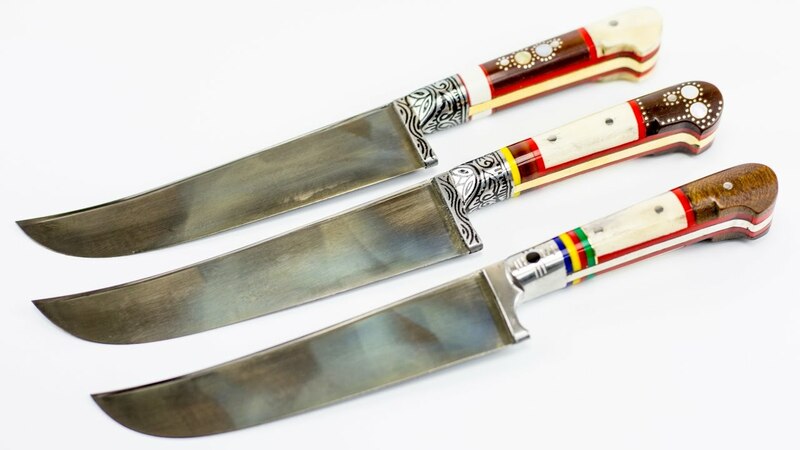 The most expensive ones are inlaid with precious stones, and a unique engraving is applied to the blade of the knife. These knives are usually presented as a gift to very respected people and passed down from generation to generation. Today, one of the most famous craftsmen in the sixth generation is Ikramov Saifullo, who is currently teaching his grandson and son this complicated art.